In an effort to reign in fraud in the credit card processing industry, the U.S. has adopted the EMVCO ® Chip Card security for processing credit and debit cards. The chip cards send a unique identifier for each transaction, making it harder to create fraudulent cards, and farm data. This helps protect your profits from fraudulent transactions, and charge-backs. Also, businesses that do not use chip card readable terminals will lose their ability to dispute charge-backs from transactions when the card holder disputes the legitimacy of the charge. Chip card readable credit card terminals are affordable, and easy to use. Some providers took the opportunity to increase their profits on credit card terminals, even though the actual cost of terminals has decreased over the last 2-3 years. They’re now generally lower in cost than before chip cards were introduced. Some card issuing banks require a PIN to be entered by the card holder for credit or debit, as an additional security feature at the time of the transaction. Not all banks are requiring the PIN be entered, but as time goes on, more and more will do so. 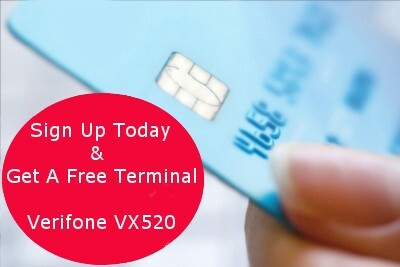 EMVCO ® chip card PIN pads can be utilized for convenience when making the terminal available to the customer to enter a PIN number is too cumbersome.